It’s a reality, our capacity to begin new tasks is unlimited. However, our capacity to finish those same tasks is not. That’s why having a suitable work methodology and the ability to set limits on the number of projects in progress is very important. In this way, you’ll be able to organize yourself better, work better and keep up with your projects without unexpected problems. And, of course, you’ll get better results and thus ensure the satisfaction of your customers. This premise is applicable to any context, and even more so in the field of business. 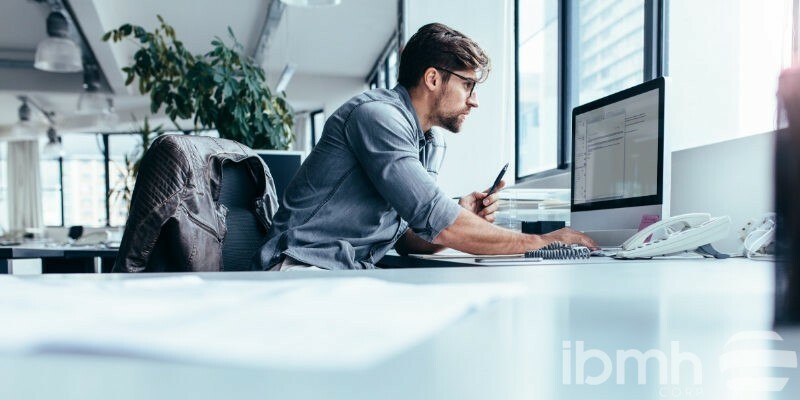 Today, at IBMH, we want to share some tips that will allow you to better organize your work, finish a given number of tasks, and, with all of it, substantially improve your productivity and that of your company or business. You always need to set limits before starting any project. Otherwise, it will be your own capacity which ends up limiting you, making you fail to meet your objectives. But, how do you set limits when you are saturated with work? How do you know how much time to dedicate to each task? How do you decide when it’s all right to start a new one? Below, we’ll help you answer all these questions. Of the twenty-four hours in a day, we generally dedicate approximately eight to work. Therefore, the total number of tasks or projects in progress must be proportional to the available time. If you have eight open projects, and you dedicate, for example, one hour a day to each of them, don’t start any more projects. First, finish at least one of the ones you’ve already begun. If you estimate that a task will take eight hours in total and you dedicate one hour per day, logically, that project will be finished in eight days. It isn’t a matter of dedicating the entire eighth day to working on that project in order to complete it on time. The best advice: from day one, dedicate some time exclusively to that task, even if it’s just a little. The total hours you dedicate to that project or task will always be the same, eight hours. However, by distributing them over eight days, you won’t get overwhelmed thinking about doing it in just one day. To estimate the completion date of a new task, you must always take into account when you will finish the previous task. Don’t start new work until you finish at least one that you already have in progress. By setting limits on the number of projects in progress, you will have complete control over your work. You will be able to easily handle unforeseen incidents, and you’ll never feel saturated or overwhelmed with pending matters. Also, you’ll be able to carry out high quality work, always achieving your desired results. And that’s not all. Other people involved in the same projects will also know from the beginning what the estimated completion date that you have predicted is. Everyone will be informed of the status of your work several days in advance of the deadline. At IBMH, we have a work system based on productivity, and this is, without a doubt, the key to our success. Count on us to optimize the time you dedicate to purchase management in your business. Contact us today to learn how we can help you make your furniture and construction hardware business grow!